Japanese monk Sengai Gibon (1750–1837) was of the Rinzai School, one of the three main schools of Zen Buddhism in Japan. Known for his controversial teachings and writings, Sengai tried to make the difficult lessons of the Renzai sect accessible to the public. He was also an artist, creating ink paintings that have kept their modern, humorous character even though they were created two hundred years ago. Sengai’s work represents Zen Buddhist wisdom, with motifs completed by calligraphic inscriptions—his most famous work, often called “The Universe,” shows only a circle, square, and triangle. But despite Sengai’s almost graphic novel–like style, which would appeal to people today, the paintings’ extreme sensitivity to light exposure makes them difficult to display and prevents them from being known to the wider public. 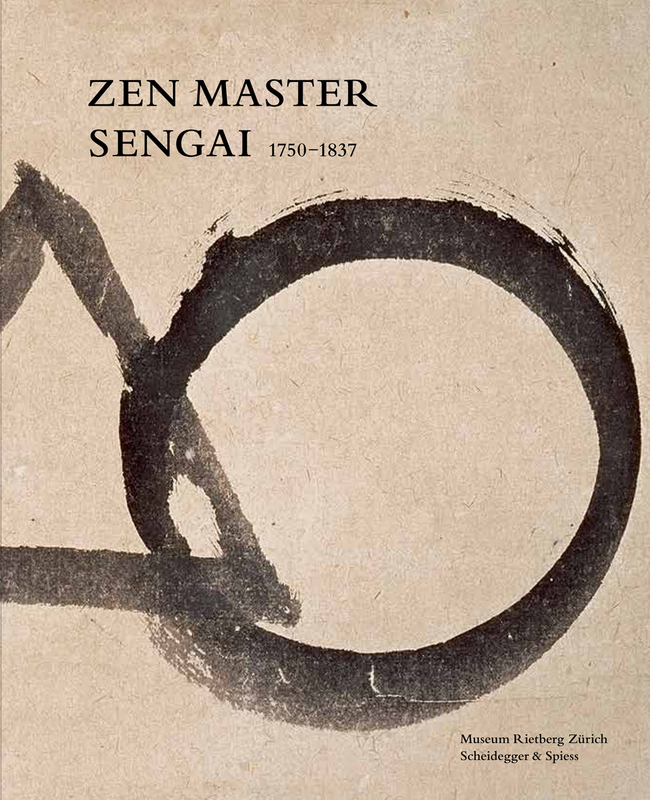 Offering a rare glimpse into the work of this fascinating artist, Zen Master Sengai (1750–1837) presents in full color forty-two of the best works from the collection of Sengai’s art in Tokyo’s Idemitsu Museum of Art. As Sengai’s aphorisms are key to understanding the motifs and wisdom they illustrate, the calligraphic inscriptions are translated into English. Essays by eminent scholars Katharina Epprecht, Taizô Kuroda, Michel Mohr, and Hirokazu Yatsunami look at selected works, telling the story of Sengai’s career transformation from Buddhist monk to painter and contextualizing his work from historical and religious perspectives.